I have a soft spot for Verve Coffee Roasters, the California-based coffee shop/roaster chain, although its three Japanese outposts earn it the tag “international”. Starting in Santa Cruz, where it has four outlets, including its flagship Pacific Avenue store, it’s spread both north to San Francisco (Mission Street) and south to Los Angeles, where I visited the Spring Street store in downtown LA. Opening in 2015, it’s one of three Verve outlets in the city (soon to be four with opening of a roastery/ coffee shop in the Arts District in summer 2019). The coffee options, which change monthly, are familiar to anyone who has visited Verve. There’s the Streetlevel seasonal espresso blend, joined by a featured espresso (also a blend, Sermon, during my visit), all the shots being pulled on a custom four-group Kees van der Westen Spirit espresso machine. 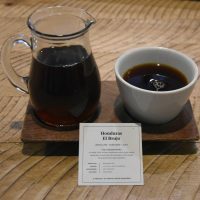 For filter, there’s a batch-brew option, with three single-origins available as pour-over through Kalita Wave filters on the Modbar modular system. If you’re hungry, there’s a selection of salads, wraps and bowls, with cake and pastries for those with a sweet tooth, while all the coffee is available in retail bags, along with a selection of merchandising and coffee equipment. Woodcat Coffee Bar was a chance find that both made my day and reminded me of why I started the Coffee Spot in the first place. That I found it is entirely down to Kyle, the manager at Stumptown Coffee in New Orleans, and his wonderful team, who made it one of their top Los Angeles picks. A pick that, serendipitously, was a ten-minute walk from my hotel, which I’d booked over a month before. Naturally, I had to start my solitary day in Los Angeles with coffee at Woodcat. 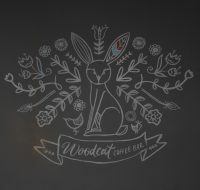 A friendly, neighbourhood place, Woodcat is a labour of love from owners, married couple Janine & Saadat, who, having failed to find any good coffee on moving into the Echo Park neighbourhood, decided to open their own shop in September 2014. Starting on a shoestring, they had plenty of support from the local community, while Saadat built pretty much everything using reclaimed materials, giving Woodcat a wonderful, homely feel. Woodcat serves Flat Track Coffee from Austin, Texas on espresso and filter, where it’s joined by the occasional guest roaster. There are several signature drinks and a selection of teas, plus a range of savoury and sweet goodies if you’re hungry. 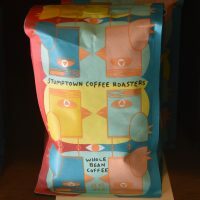 On one level, Stumptown, the US coffee shop/roaster chain that was founded in Portland, Oregon, needs no introduction. In particular, it’s partnership with Ace Hotels is well known, with Stumptown’s coffee shops gracing four of Ace’s US hotels. It’s therefore surprising that, prior to today’s Coffee Spot, I’ve only written about two Stumptown branches, both in New York City, one its flagship West 8th Street branch and the other inside the Ace Hotel. Stumptown’s sole New Orleans coffee shop is one of the four co-located with Ace Hotels. In this case, it’s in the heart of New Orleans’ Central Business District, the coffee shop, a beautifully-appointed, elegant space to the right of the hotel lobby. There’s minimal seating, the hotel lobby providing ample overspill seating. There’s plenty of choice when it comes to coffee, with the ubiquitous Hair Bender blend on espresso, joined by a guest espresso, which changes every few days. There’s also a batch-brew option, which can change several times a day, while in the morning, the staff will often have two options on at a time, giving you contrasting options. Finally, all four single-origins are available as pour-over using the Modbar system and Kalita Wave filters. 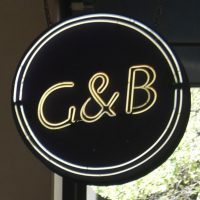 G & B Coffee, short for Glanville and Babinski Coffee, after founders Kyle Glanville and Charles Babinski, a pair of United States Barista Champions, opened in 2013. Located in the Grand Central Market, it brings top quality coffee right into the heart of downtown Los Angeles. The market, crammed full of food stalls, bars and several fruit and veg stalls, is worth a visit in its own right (I ate there twice), but for me, G & B Coffee is the highlight. A large, standalone island counter at the top end of the market, you can sit where you like (or stand at the bar at the back) and one of the baristas will come to take your order. There are two choices on espresso and two more on filter, backed-up with a selection of signature drinks and a range of teas. If you are hungry, you have a wide range of food to choose from in the market, while G & B has waffles, granola and a range of cakes and pastries. I spent last week exploring New Orleans’ small but vibrant speciality coffee scene. Most of the places were known to me from my previous trip, but there was one standout that came as a pleasant surprise. 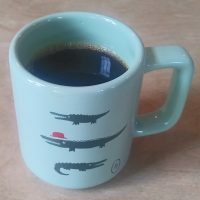 When I was last in New Orleans in early 2018, I noted that there was very little speciality coffee being roasted locally. Back then, Cherry Espresso Bar had just got going and was on the verge of opening Cherry Coffee Roasters, but that was about it. Or so I thought. What I hadn’t realised was that just across the Mississippi in Algiers Point, Congregation Coffee Roasters was cooking up something special and just about to celebrate its first birthday, having opened in March 2017. On this trip, Congregation was recommended to me by both Mammoth Espresso and Revelator Coffee, so I took the short ferry ride across the river one Sunday afternoon to see what I could find. My reward was a lovely coffee shop, serving some fantastic coffee on both espresso and batch-brew, all roasted on the 12 kg Probat at the back of the store. There’s a great selection of cakes, plus, at weekends, a concise brunch menu available until three o’clock. Mammoth Espresso is a small coffee shop in New Orleans, serving the Midwest’s finest, Madcap, on espresso, with filter provided by the automated Seraphim pour-over system. There’s a bespoke espresso blend and a daily single-origin option. This, plus two or three more single-origins, are available on pour-over through the Kalita Wave. If you’re hungry, there’s a selection of cakes/pastries, prepared in-house, plus breakfast burritos. A seven-minute walk from the station and towards the southern edge the Central Business District, Mammoth is a little off the beaten (tourist) track, but well worth seeking out. I first popped in during my visit to New Orleans this time last year, when it was my final stop before catching my train to Tucson, providing me with a fitting send off to New Orleans. On my return this year, I made it a priority to revisit Mammoth since I didn’t have time to write it up the first time around. It was therefore fitting that my first action on my first morning after flying in the night before was to take the short walk along Baronne Street from my hotel to Mammoth for my first coffee of the trip. Such symmetry pleases me.